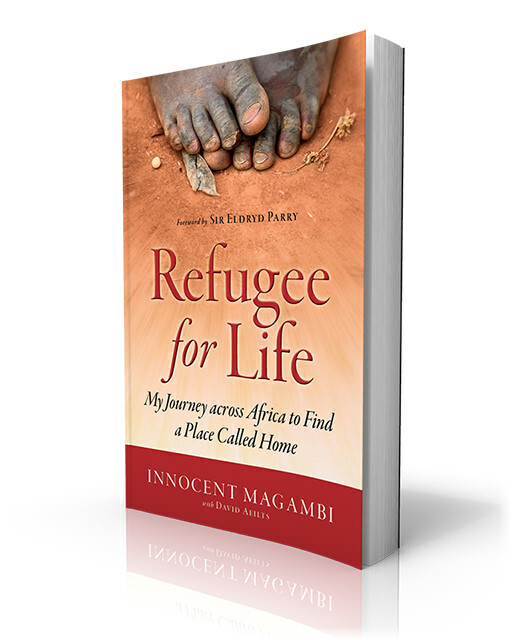 “Refugee for Life” is the story of Innocent Magambi, born a refugee who lived his first 27 years in five refugee camps all across East Africa. 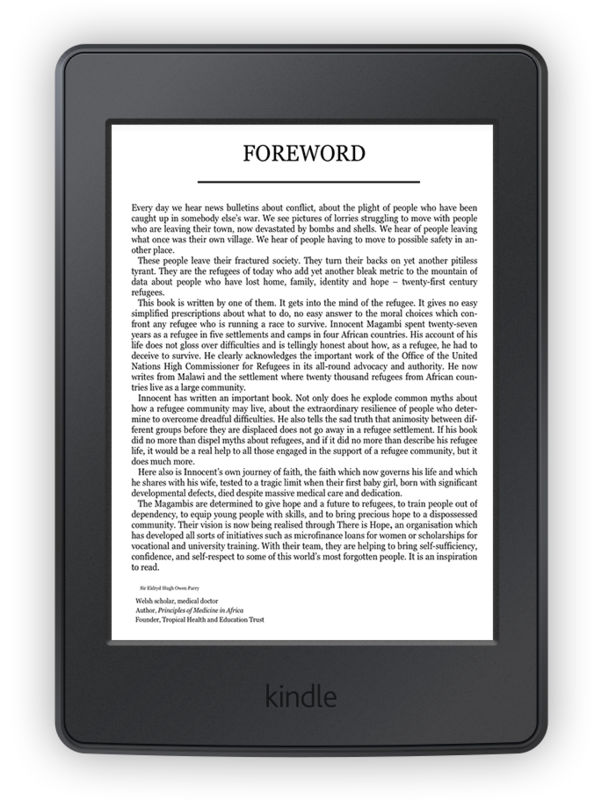 In his book Innocent chronicles his life growing up ad a displaced person. He talks about the frustration of trying to make a home in his native Burundi only to be chased out by violence and experience the insecurity of living in a host country at war with its citizens. His story is an account of the refugee’s constant struggle and challenge of escaping the protective but confining boundaries of the refugee camp and discover life as a person fully functional and integrated in the society. Inno’s hope is that by telling his story he will help dispel myths concerning the purpose, predicaments, and prospects of displaced people, as well as giving you a personal view of what it is like to grow up nationless. 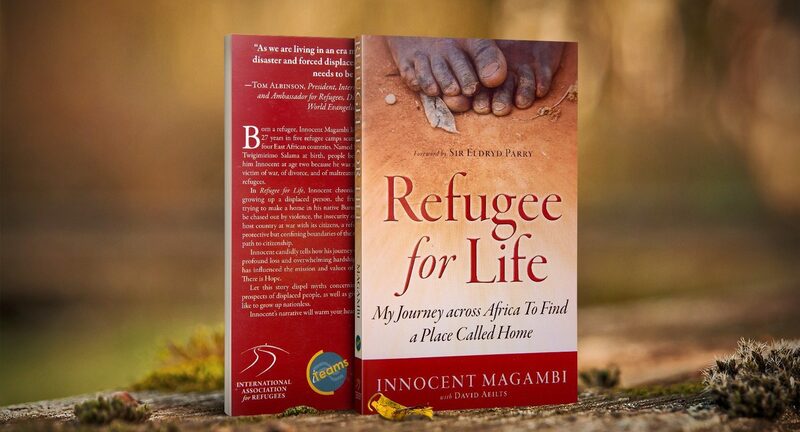 Director of "There is Hope Malawi" and Author of "Refugee for Life"
Innocent Magambi was born in a small refugee settlement in DR Congo in 1979. His parents had fled the tribal conflict in Burundi seven years earlier. The war broke out in DR Congo when Innocent was a teenager, forcing him to flee. Innocent in turn became a refugee: over the next decade he lived in numerous camps across Eastern and Southern Africa. At age 26, a church in Malawi’s capital city offered Innocent a scholarship to study theology. For the first time in his life, Innocent was able to live outside the confines of a refugee camp. 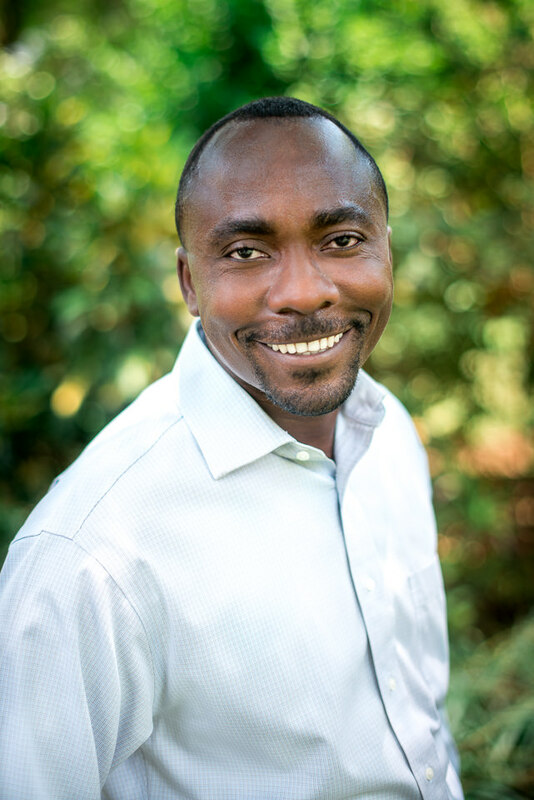 He subsequently went on to found “There is Hope”, a Christian non-profit that provides opportunities for refugees and their host community to grow in their capacity to live with dignity, providing for their families and making a positive contribution to society. Innocent is married to Florisa, who is Italian. Together they live and work in Lilongwe, Malawi, where they raise their three boys. I loved this book for several reasons. It is the personal story of one man who endured much oppression and hardship, as well as the story of many who still live displaced, forced to flee from all they know and love. [showhide type=”links1″ more_text=”Show More (%s More Words)” less_text=”Show Less (%s More Words)”]Innocent shares his journey, illustrating the lives of refugee’s far beyond what headlines and newspaper photo’s can hope to show. I hear in these accounts the waste of human potential due to violence, conflict, short-sighted aid policies, and so much more. I “see” the many faces of parents and children, brothers and sisters, family and friends; some surviving, some not. I love that Innocent and his wife Florisa are investing their lives in creating opportunity for others to know hope and find their way, illustrated in this quote from the last part of the book, “The positive impact that people have had on our lives becomes more evident when the story does not end with us”. 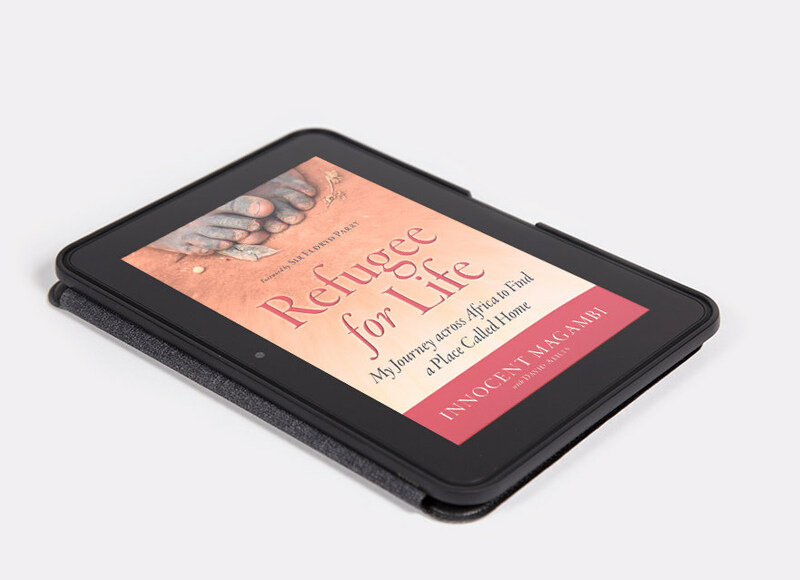 Incorporates life experiences, faith, an inside view of refugee struggle, and commentary. Highly recommend for anyone. REFUGEE FOR LIFE is a fabulous book, very touching and moving. I’m really encouraged that God has worked in and through the author to accomplish so much,[showhide type=”links2″ more_text=”Show More (%s More Words)” less_text=”Show Less (%s More Words)”] even from the point when he felt so alone as “just an orphaned refugee.” It’s a good reminder that our heavenly father can do anything with us! Refugee ministry can feel lonely and discouraging at times, so this book was a great encouragement for me. • the Western viewpoint of refugees. I’ve worked alongside refugees for several years now, so this was a good reminder for me of how I still need to train friends who are new to working with refugees. I LOVED the surprise ending! God may still have much more in store for the author and his country. Inspiring story full of important history, context, and personal perspective on the global refugee crisis. A must read!